ONE Championship returns to Myanmar on 8 March with ONE: REIGN OF VALOR, which is set to take place inside Yangon’s iconic Thuwunna Indoor Stadium. The aforementioned card will be the only ONE event held in Myanmar this 2019, so fans will want to get their tickets quick before they sell-out. Itwill be headlined by a welterweight title clash between ONE Welterweight World Champion Zebaztian “The Bandit” Kadestam and Georgiy “Knight” Kichigin. The hard-hitting Swede won the title last November at ONE: WARRIOR’S DREAM after stopping undefeated American Tyler McGuire in the fifth round. Local fans will have plenty to cheer about with the announcement that Phoe “Bushido” Thaw, Bozhena Antoniyar and ONE’s latest Myanmar signing Tial Thang, are all set to compete. Over the past two years, it has been “The Burmese Python” Aung La N Sang, who has lead the local charge when ONE has touched down in Myanmar. The ONE Middleweight and Light Heavyweight World Champion has headlined the last five Myanmar events, electrifying fans from all nations with his in-cage performances. Now, with Aung La N Sang set to rematch Ken Hasegawa in Japan on 31 March at ONE: A NEW ERA, the time is right for the next wave of Myanmar talent to unleash themselves on the world stage. 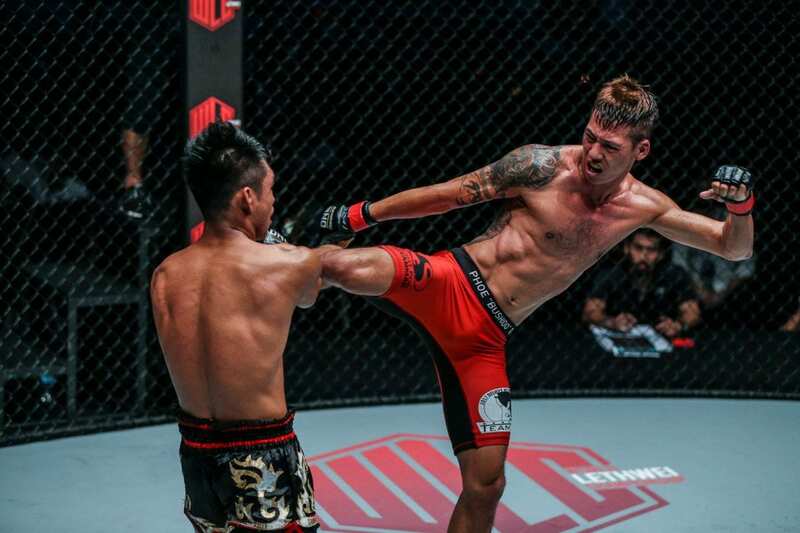 Phoe Thaw has already built himself a reputation as one of the featherweight divisions sharpest strikers.“ Bushido’s” highlight knockout of Cambodia’s Sor Sey at ONE: QUEST FOR GOLD, was regarded one of the best stoppages in any division of 2018. 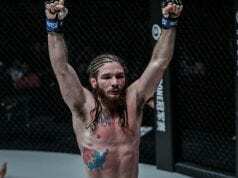 The 34-year-old is set to face Indonesia’s “The Iceman” Yohan Mulia Legowo. “The Iceman” has competed professionally in mixed martial arts since 2002, with over half of his victories coming via way of submission. Phoe Thaw has had trouble with grapplers in the past and has been working on improving his wrestling since his submission loss to Keanu Subbu last October. A win over Legowo could help propel Phoe Thaw into even bigger bouts later in 2019. Another highly rated Myanmar striker is Bozhena Antoniyar. She made an instant impression inside the cage during her professional debut at ONE: QUEST FOR GOLD. The two-time Myanmar National Boxing Champion stopped her opponent with only 24 seconds gone on the clock. The 23-year-old’s career is still in its infancy, but from what she has shown so far, it is clear Antoniyar has the talent to become one of the top athletes in the atomweight division. Antoniyar will meet Malaysian striker Audreylaura “Ice Comet” Boniface, in what will be one of the nights most explosive encounters. The night will see the promotional and professional debut of Tial Thang. The 25-year-old trains alongside Aung La N Sang in Florida at Hard Knocks 365 gym and is excited about putting on a show at ONE: REIGN OF GLORY. The Chin state native will meet Cambodia’s Rin Saroth in a catch-weight 68 Kg contest. Saroth is a stand-up veteran with over 100 Kun Khmer bouts under his belt. The Cambodian joined ONE in 2015 and has accumulated both knockout and submission victories under the ONE banner. Aung La N Sang believes that Tial Thang can compete with the very best mixed martial artists in the world and on 8 March he will finally have his opportunity to do so.